Look at this simple but elegant wedding sandals! Decorated with crystals, they are the best gift for your wedding. Ordered these in size 10 and they ended up being a bit big on me. They fit my mom who wears a size 11 perfectly. They're MUCH brighter in person. I love these so much! Best pair I've ever gotten. I definitely love this shoes much, I bought it to wear in summer. It saved me life in this hot Summer, and it can match many my clothes. of course , what makes me love so much is I received many compliments with it. I recommend FSJ to my friend, and they also love your brand, I think we will purchase many shoes from you. 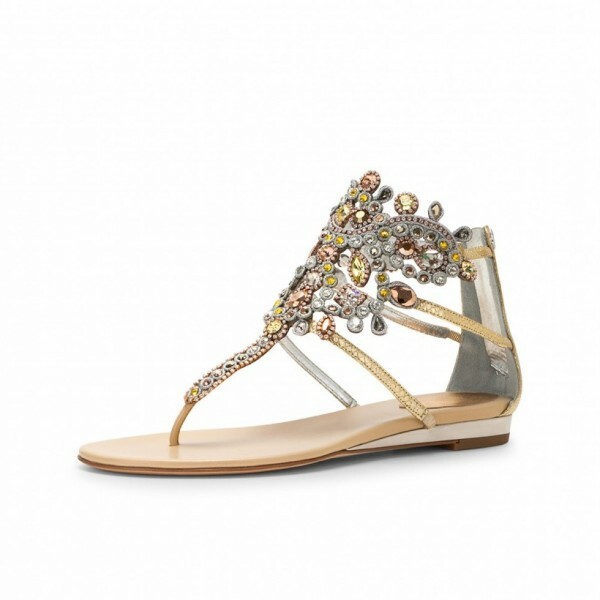 This sandals is totally amazing beyond my imagination, it almost can match any style of clothes and i can wear it to any occasions. It can match T-shirts and mini-pants, long dress. it makes looks quite adorable and elegant. I also wore it to the beach, I did't feel uncomfortable in this shoes all day. 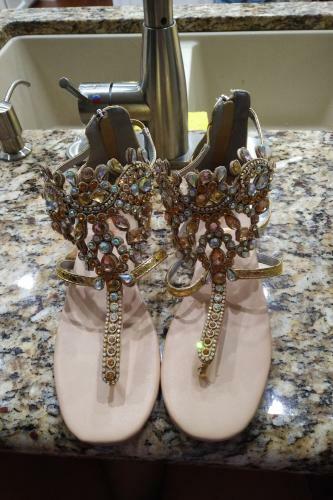 Purchased these sandals for my wedding two weeks ago. They were PERFECT! They were sparkly in all the right places and were comfortable enough for me to wear all day and night long! They were exactly what I was looking for. I would highly recommend these for a wedding. Not to mention, the price was great too!